I had planned to do a Lush Oxford Street haul of all of the amazing things that I picked up a few weeks ago but I thought it might be nice instead to do individual posts for each of the items and make a little series out of it! 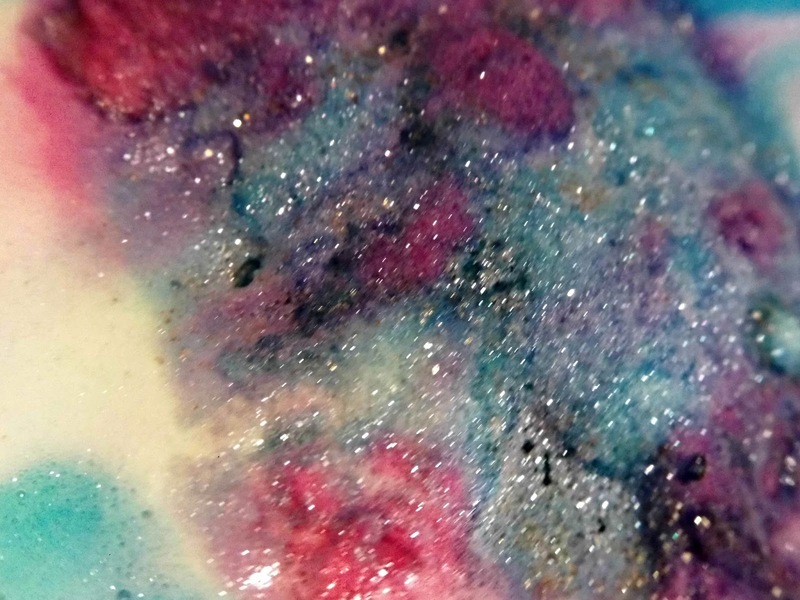 First up is probably the best bath ballistic Lush have ever created in my opinion; Intergalactic. 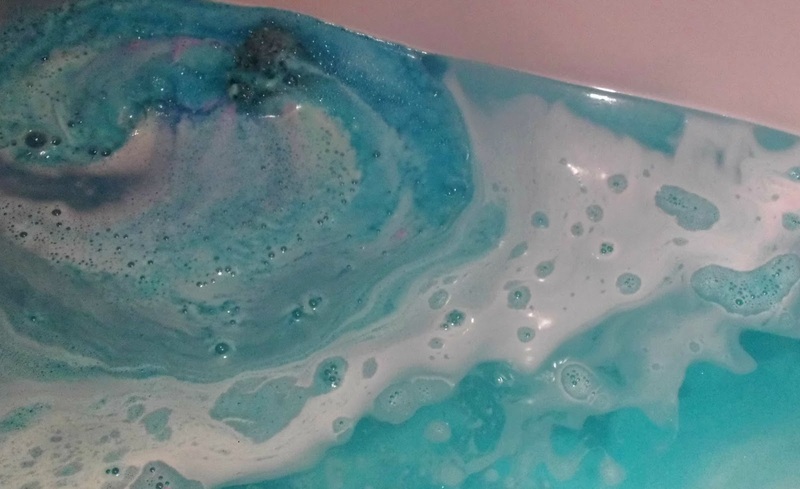 This bright blue bath bomb contains peppermint oil, cedarwood oil, grapefruit oil and popping candy and let's be honest, any bath bomb which has popping candy in it is a winner. In it's bomb form I couldn't really identify any of the main scents individually, to me it just smells really fresh and light. 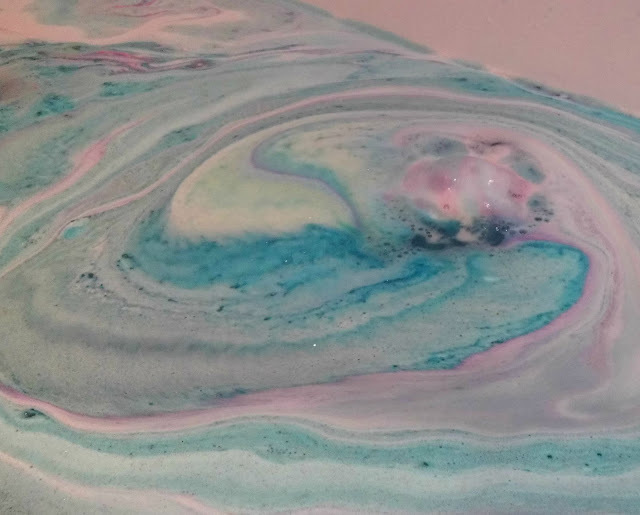 As soon as you drop this into your bath, swirls of bright blue shoot out through the water and very quickly you are left with incredible, deep blue bath water. It's stunning. 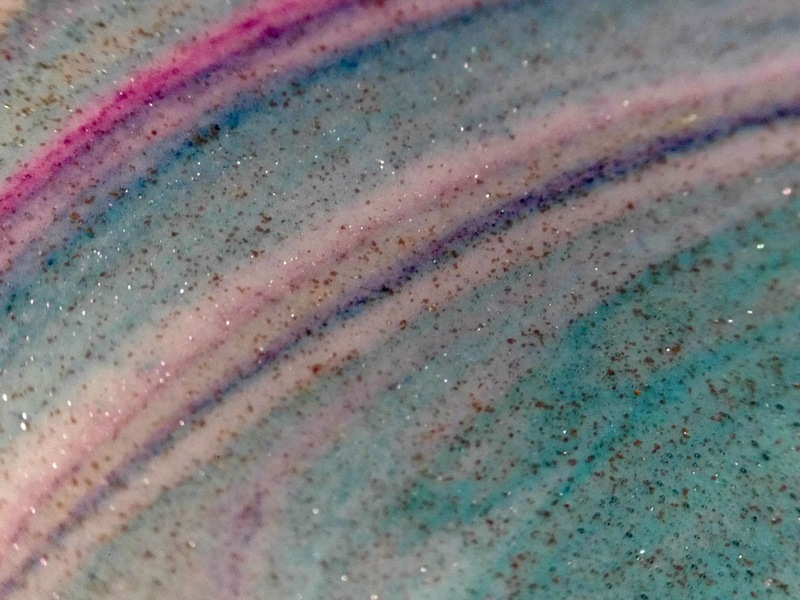 Then as the outer layer fizzes away it reveals streaks of yellow, white and bright pink which swirl through the blue and waves of shimmering gold flow through the water which make it look as though you really are floating in your own galaxy. The popping candy in this really adds to the effect and I think that this is just as much about the visual as it is the scent. 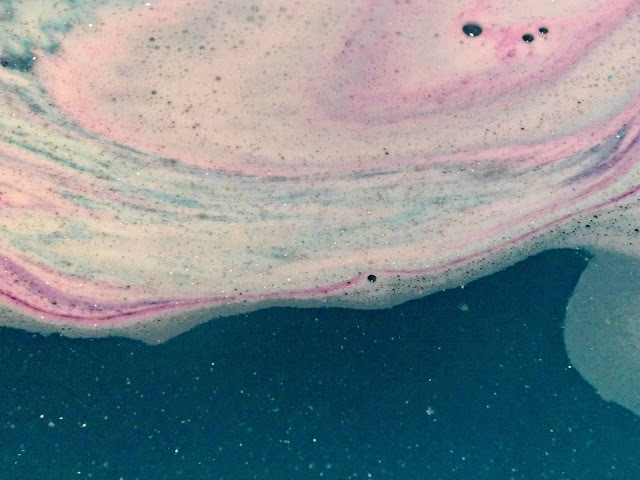 When it's all dissolved and dispersed throughout the water, you can really pick up on the peppermint and the grapefruit which are both really uplifting and almost cooling on the skin once you've finished in the bath. The gold particles also leave you with a beautiful shimmer which I love, but if you're not into glitter then it definitely won't be a bonus for you. Not only is this a really uplifting and soothing bath to soak in, I spent the whole time swishing my hands through the vividly blue water in amazement like a child. 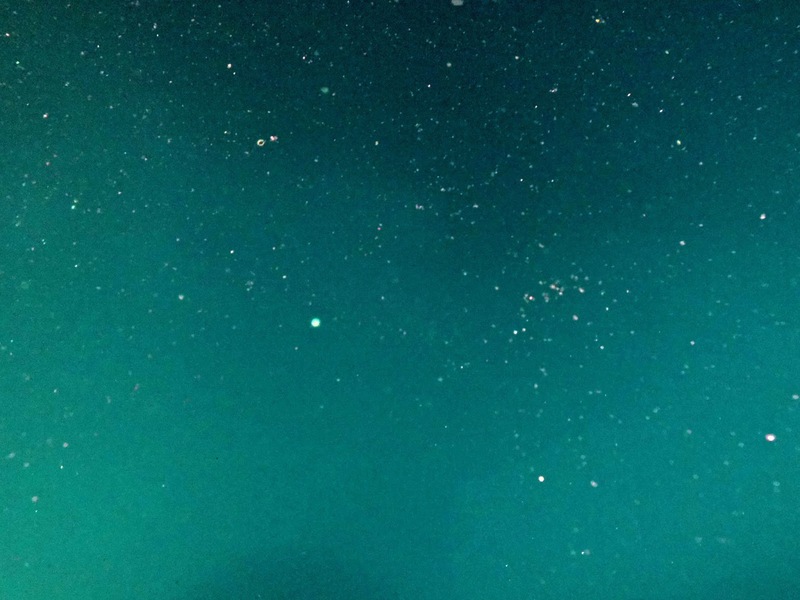 It's really an amazing experience, which is strange to say about a bath I suppose. This is an exclusive product to the Lush store on Oxford street and retails at £3.50. I think this is definitely the best bath bomb that I've ever used; from Lush or otherwise and I definitely recommend that you give it a try if you have access to the store. Keep an eye out for more of these posts coming soon!